Today I am going to share with you new app or website named mouthshut. This helps you to make money online. 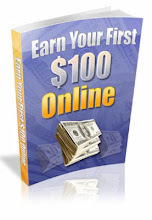 If you want to earn money then no need to worry. All you need to do is to register or sign up using your social accounts on mouthshut. Mouthshut is the place or a website where you can earn just by writing reviews on the products listed in their website. The website contains nearly around 8 lakhs products. You need to write a review on the product of around 400 words and then share it on the social media. Mouthshut is the writing win and share contest. You can log in with the facebook details as well. While sign up you are asked to fill up the details such as personal data along with the bank details. The bank account should the person who signs up for the mouthshut. If the mouthshut sign up name and the bank name specified by the user should be same for getting approved your KYC documents. Once you bank details are approved, you will be illegal for payments. While sign up you need to upload the aadhar, pan card as well your photo and signature. After login you can write the review of any product by browsing from the different categories listed on the mouthshut website. You can also see the trending mouthshut topics and get daily updates whenever a new topic had been added to the website. You can see your daily winnings and get notifications as well. You can also do chat with the mouthshut team for any queries. Writing a review is of two types one is positive and another negative. The positive review carries 20 rs and negative review carries 40 rs. And for social sharing, you will get 40 rs for each and every review. Your written review needs to be approved to get the win for the write and share contest. If disapproved you will not be rewarded. 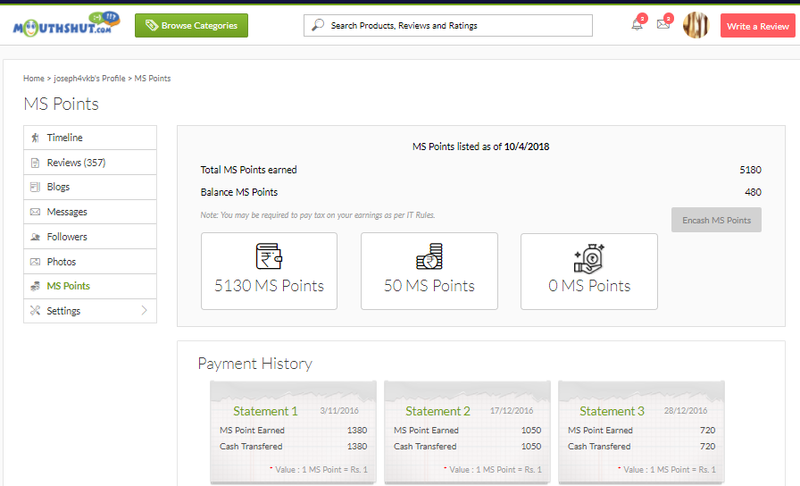 You can invite a friend and get earn 50 rs for each referral you made. In the timeline you can see the reviews you written, messages and ms points you earned. 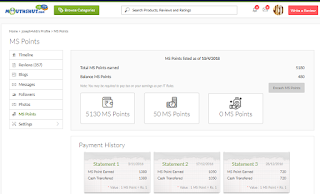 You can also viewed all your payments. You can also change your profile and bank account details for approving. You can also write the blogs and you can rate other reviewers views on the mouthshut. You can get followers and even follow others on the mouthshut. In order to win for the write and share contest you need to put genuine reviews only. The reviews written genuine are more advantage than normal reviews. Do not copy the other reviews on the mouthshut. Because they will check for content accuracy and duplication. If find duplicate sometimes your account gets blocked. If you want to make more money with mouthshut you need to write good reviews because they will treat genuine reviews for the better winning of rewards. If you want to make online money you can definitely use the mouthshut. Because mouthshut will definitely pay you without any delay. So never miss a chance to earn online.